Dr. Ziyang Zhou is a herbalist and acupuncturist in Austin, Texas, began his training in Traditional Chinese Medicine (TCM) China as a child. 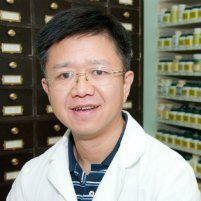 He has an in-depth knowledge regarding allergies and their relation to the flow of qi. Scroll down to read more. Allergies are one of the most common illnesses in the Austin area. Dr. Zhou’s years of practice here in Austin have provided many allergy sufferers with help. Acupuncture treatment before, during, and after an allergy attack can address symptoms of itchy/watery eyes, runny/congested nose, sneezing and sore throat. It also treats the root cause of the allergy and prevents/treats the complication of your allergy, such as sinus infection, asthma, bronchitis. What Symptoms of Allergies Does Acupuncture Help? Acupuncture has shown to have a positive effect on people who have seasonal allergies. This ancient Chinese procedure treats symptoms of allergies such as sneezing, and also has an impact on other respiratory/nasal symptoms like a runny nose or inflammation and itchiness around the eyes. It may improve people's allergies to pet dander and other indoor allergens and symptoms of perennial allergic rhinitis. This depends on a number of factors such as the severity of the allergies and the patient's response to treatment. Studies have indicated an improvement in allergies in as little as one session while others may require multiple sessions before an improvement is noticed. Those who have chronic allergies might require two sessions per week for several weeks. Those with year-round allergies may require treatment throughout the year with various frequencies. For a specific treatment plan, please schedule a consultation with Dr. Zhou. Will I Still Need to Take Allergy Medications? The answer varies per person as to whether a patient will still need to take an antihistamine. Studies have shown a great deal of improvement from those partaking in an acupuncture treatment versus those who aren't. However, it is possible not to require an antihistamine while undergoing acupuncture for allergies. For some, though, the treatment plus a medication are the most effective relief of the symptoms. Where Are the Acupuncture Points for Allergies? Not all the points for allergies are on the face. Many points are on the arms, legs, stomach. They may belong to the meridians of large intestines, stomach, bladder, spleen, and other organs.